As the choice of first class hotels in this area is not great we settled for the Overleaf Lodge which definitely can’t be described as a luxurious resort but provides a good standard. We opted for a suite as we are a family of three adults, i.e. a Sunset Suite on the ground floor. While there is plenty of room (two rooms, two bathrooms, kitchen) and the view is of the ocean is impressive, the suite is dated and blandly furnished. We didn’t feel comfortable neither in the room nor in the lobby area. The latter is decorated in a style that can be best described as quaint. Never mind, it’s probably a matter of taste. However we did like the expanded continental breakfast although we had to queue quite long in order to enjoy the quality goods. As far as the staff is concerned, we were treated in a friendly way but we felt a bit out of place as foreign tourists passing through. 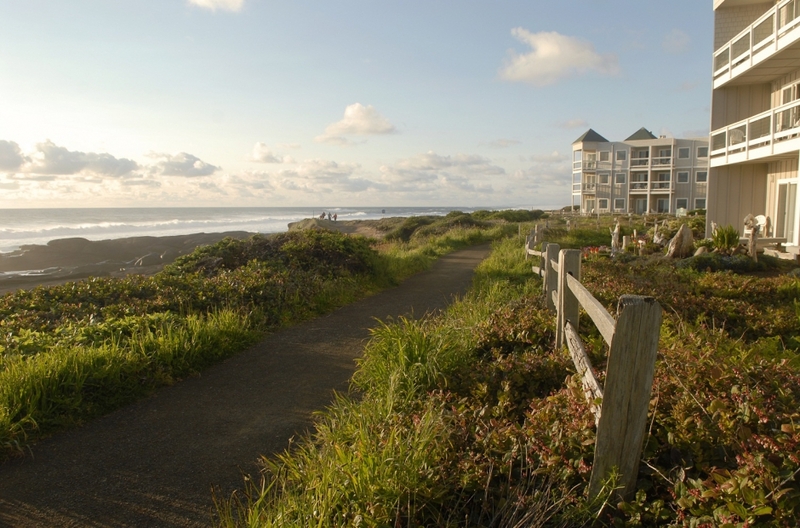 There is a path along the coast where amazing views of the ocean can be relished. The stunning location is indeed the jewel of this place!